Summer fruits are a treat, and even more than that, they are a nice and quick escape from the scorching heat. 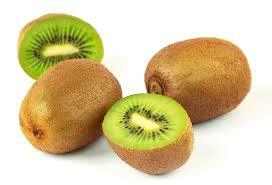 Kiwi is one such fruit, which is very tasty and full of vitamins C and K, and is best enjoyed chilled. However, the fibrous skin that covers the delicious green fruit can be a bit of a nuisance when it comes to being peeled, as it can’t be peeled well with a knife or a peeler. There is a mind-blowing simple trick to peel a kiwi. All you need is a knife and a regular spoon. Take the kiwi and cut the upper and bottom corners using the knife. Now keep the knife aside; you would seriously not need it. Take the spoon and insert it between the fruit and the skin such that the concave side touches the fruit and the convex side touches the skin. Run the spoon all around the fruit and squeeze the fruit a little. Your deliciously green kiwi would come right out of its skin. Now you can enjoy it in any form you want.